College life and dorm life can have its share of drama and stress. So, keep some college wall decor items around that let you know that it's OK to let it all out! When you're decorating your dorm, you might as well have some fun with it. Shopping for college wall decor is fun enough on its own, but don't let the fun end as soon as all those dorm wall decorations are hung. 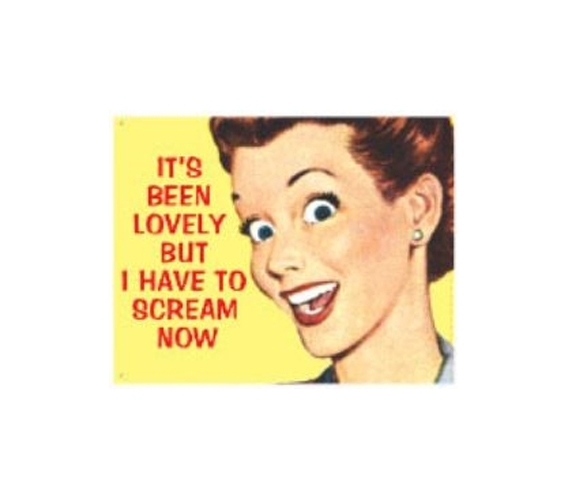 It certainly won't end if you include this Scream Now - Tin Sign as part your college supplies. Friends are bound to see it and laugh. Dorm supplies that can prompt a few smirks are all the better for college life. And since tin signs for college are pretty resilient, they're college decorations that you can use in your next dorm or your college apartment. Remember, fun dorm stuff makes college fun!